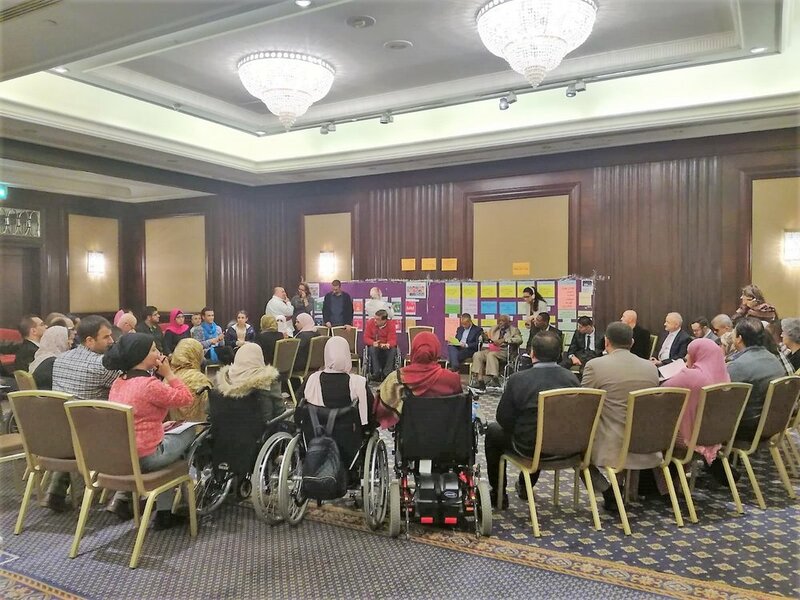 The International Disability Alliance (IDA) is a group made up of global and regional disabled people’s organisations. They advocate at the UN for a more inclusive world for people with a disability. They use the Convention on the Rights of Persons with Disabilities (CRPD) and the Sustainable Development Goals (SDGs) to do their work. Inclusion international is a member of the International Disability Alliance (IDA). 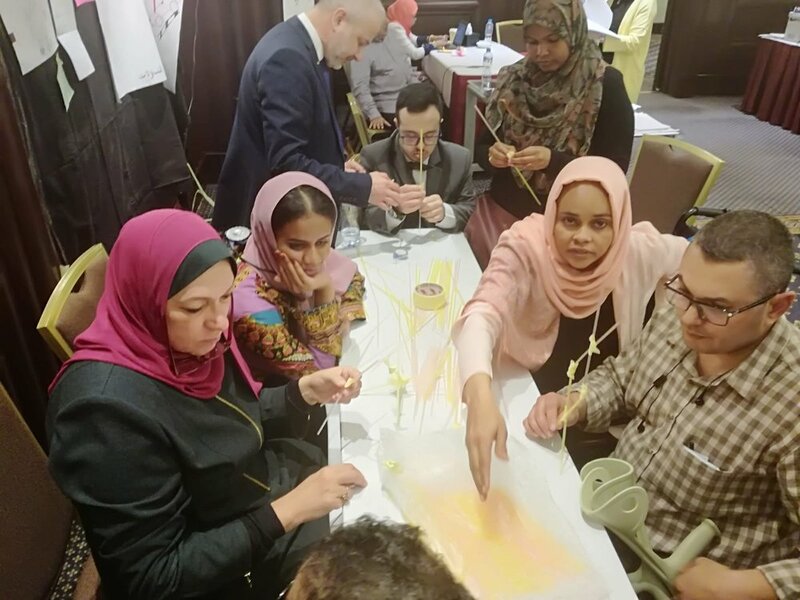 Bridge is a training program run by the International Disability Alliance (IDA) to support disabled people’s organisations to understand the Convention on the Rights of Persons with Disabilities (CRPD) and the Sustainable Development Goals (SDGs) and how to use them to advocate for inclusion and the rights of people with disabilities. 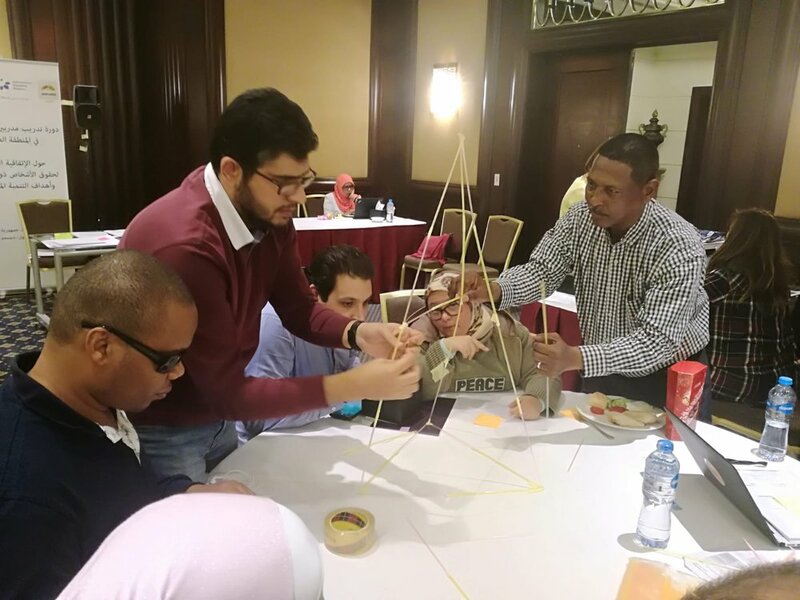 In December in Cairo, Egypt 30 people took part in the training from 9 Arab countries. There were people with physical, visual, auditory, intellectual, and mental disabilities as well as people with cerebral palsy and albinism. 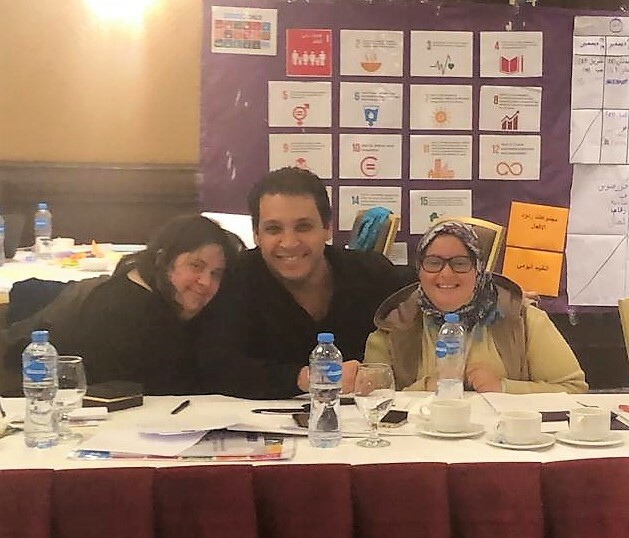 The training focused on Article 11 of the Convention on the Rights of Persons with Disabilities (CRPD) which is about risks and humanitarian emergencies but also looked at education, employment, independent living, the problem of gender and violence against women. I am Mia Farah, from Lebanon. I was council member of Inclusion International representing MENA-Middle East and North Africa. I am a member of the Empower Us Action Team and I am also a painter and fashion designer. 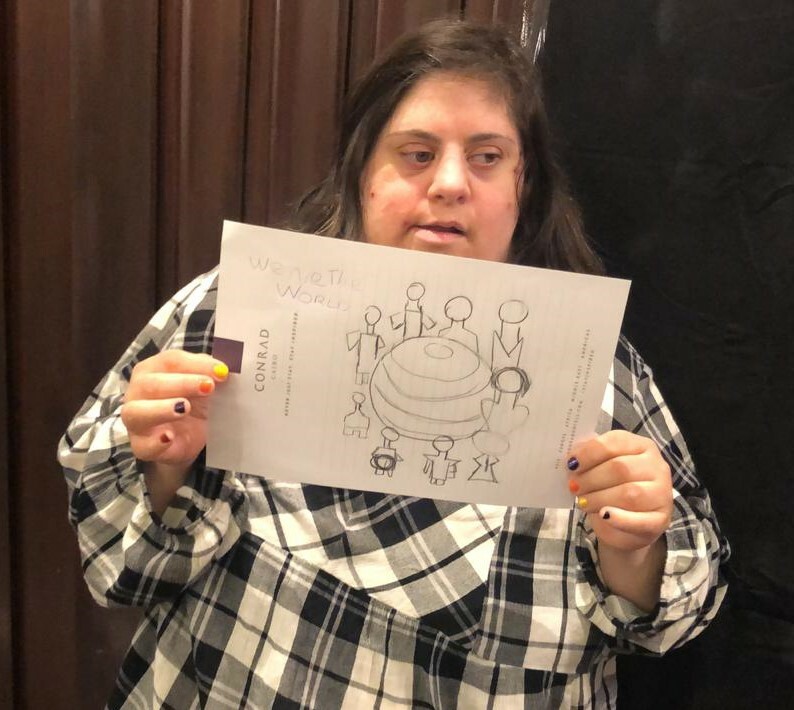 Self-advocacy is important because as a self-advocate, I have to fight for my rights to be independent and to live a beautiful life in my community. I found the Bridge training long and difficult but I will use what I learned during the training. As a self-advocate I have to make sure that everyone is respecting my rights. The Bridge training gives me the means to get there. I will especially share what I learnt with the other self-advocates with whom I work. I am Salma Al Tabbagh, I am 36 years old, from Egypt. I have Down Syndrome. I learned as a self-advocate that I am like any other person I have rights and responsibilities and how to fight for these rights. 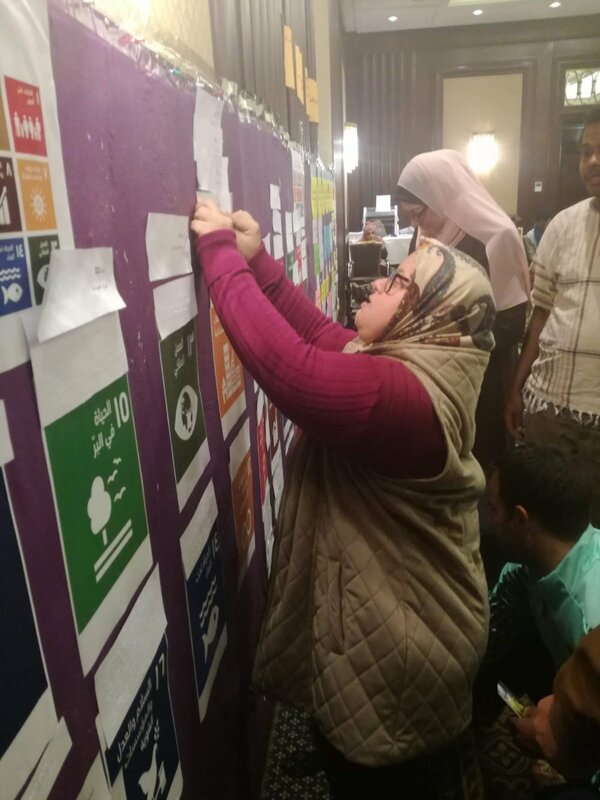 The Bridge training was on specific articles of the International Convention on the Rights of Persons with Disabilities (CRPD) and the Sustainable Development Goals (SDGs). The training was very difficult but very important and informative and very useful and I personally benefited a lot. 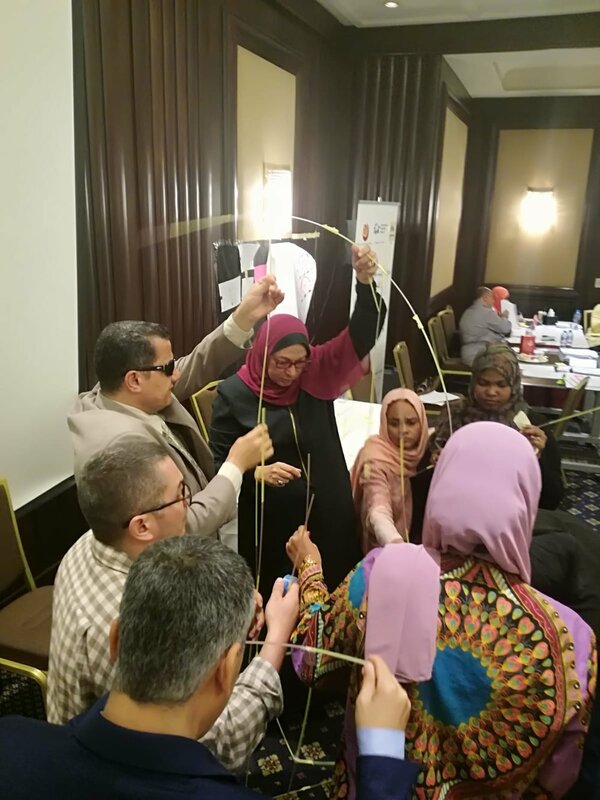 I will share this training with all members of the self-help group in Alexandria and in the other groups of self-help throughout Egypt because of the constant contact between us and the rest of the other groups. This is also a new addition to my knowledge of my rights as a person with intellectual disability to ask for amendment of the laws in line with the provisions of the International Convention. 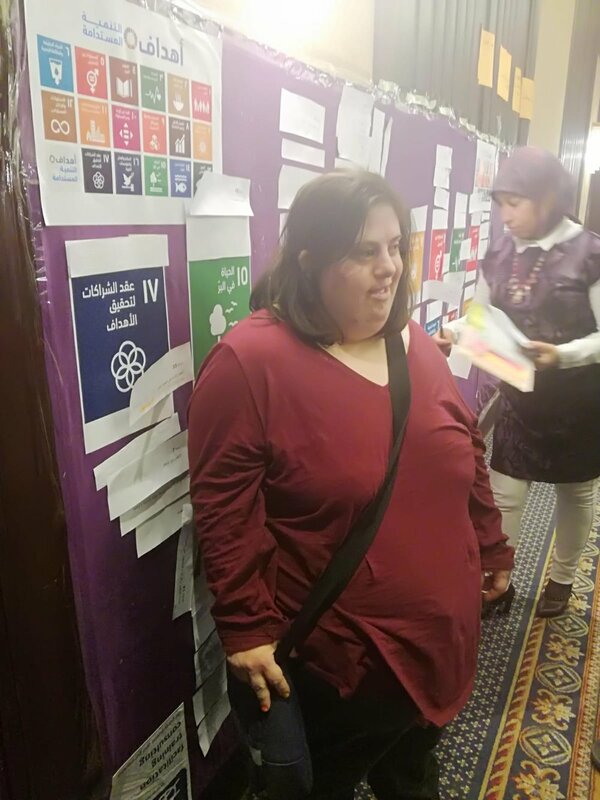 During the training Salma and Mia were proud to learn that they could share and talk about difficult articles of the Convention on the Rights of Persons with Disabilities (CRPD) a clear and detailed way in just a few minutes. Salma spoke about Education and Mia spoke about Independent living. They will be able to use this skill in their work as self-advocates and with Empower Us. One of the other things Salma and Mia said they learnt during the training is that the ideas about gender is a very sensitive subject in the region. Salma and Mia fed back that some of the advocates at the Bridge training still felt that men were more important than women. The place of the woman with a disability is a taboo (not talked about) subject. This is something that Mia and Salma think needs to be raised more. 30 people with different disabilities took part in this training but only 3 had an intellectual disability. 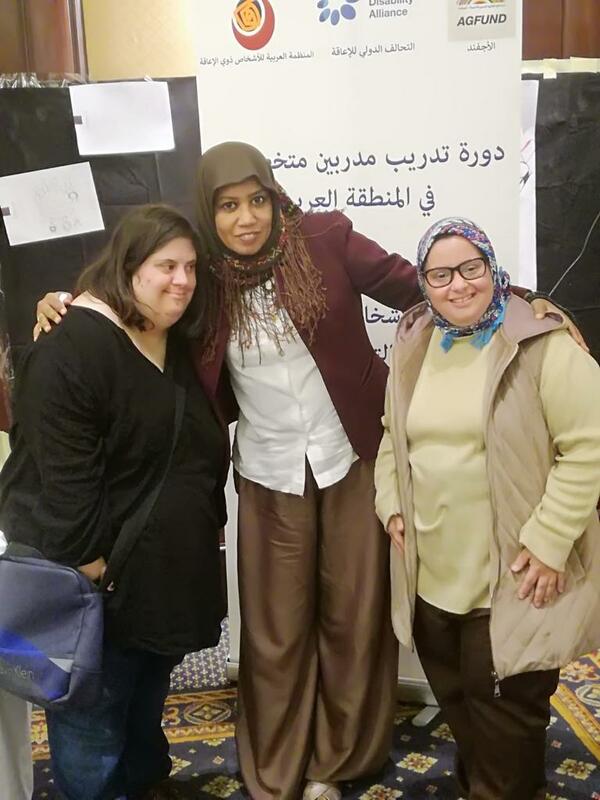 Mia and Salma said the fact that they knew each other and as self-advocates have worked together through Inclusion international and Empower Us before going to the training helped a lot. The support Salma and Mia gave one another helped them have the strength and confidence to join the group very quickly and take part alongside everyone else. The second part of the Bridge will take place in Beirut in a few months, but in the meantime Salma and Mia have homework to do in their own countries, including answering the question - What should governments be doing to make sure that our rights are real? To read Salma and Mia’s full report click this link.